The composer Christopher Gunning has written a moving reflection for Slipped Disc on the invasion of consumer entertainments into what was once a place for musical contemplation. Philharmonia, Ashkenazy, Royal Festival Hall. Even though the Royal Festival Hall was only half full, it had been a magical evening with the Philharmonia and Ashkenazy giving of their absolute best in an all Sibelius programme. A special highlight was to hear that rarity, “Luonnotar,” with Helena Juntunen singing her heart out, and there were other delights too – the seldom performed Pelléas et Mélisande suite, and a selection of poignant songs previously unknown to me. In part two, the great composer’s Symphony no 2 was given a performance of enormous vitality and sensitivity which breathed Finland’s woods and lakes from start to finish. It was one of those concerts after which you hardly dared speak, and indeed there was a time when you could wander along the river by night, thinking quietly about the music you’d just heard. You see, the South Bank is where I grew up musically; it was here I heard Pierre Monteux conducting Ravel’s Daphnis et Chloe and Stravinsky’s Symphony of Psalms. One night I heard Klemperer conducting the Brahms Requiem, and the memory still lingers. Years later, there were ground-breaking performances of his own music by Boulez, and another occasion which sticks in the mind was Kurt Sanderling conducting Mahler’s Ninth one Sunday afternoon. After that I roamed by the Thames unable to hold back tears as I watched the dark waters racing by. The list of formative events could go on and on, and even include a few occasions when I was fortunate enough to occupy the RFH conductor’s dressing room myself. To build London’s major concert hall by the river was a stroke of genius, and we should be grateful to the Labour politician Herbert Morrison for driving the project through. When it opened in 1951, it was among the most progressive concert halls anywhere in the world, and despite various acoustic issues, it is still widely loved with its wide open spaces and sweeping staircases, the whole exuding an atmosphere of restrained dignity. But what of the area in which it now sits? Since the redevelopment in 2005-7, there has been a proliferation of bars and restaurants – I counted more than twenty. Then there’s a collection of market stalls between the hall and road, serving chocolates, ice creams and street food. Walk a little further and there are pubs and umpteen more restaurants. “Good!” you might think, it’s nice to have somewhere to go before and after a concert. But wait – few of the customers are going to a concert, a film at the NFT or a play at the National Theatre. No, they’re here to eat and drink – and to drink a lot. Back to my Sibelius concert, with that wonderful music playing to a half-filled hall. I came out, and wanted to saunter quietly along the Thames and Hungerford Bridge. From each eatery/drinkery loud music pumped out. Ten thousand people shouted to make themselves heard above the din. Empty beer bottles and dog-ends lined the rails overlooking the river. It was no better walking along towards Shakespeare’s Globe, where another few thousand congregated to shout at one another. What I’m saying is that a boozing culture has invaded London’s prime cultural hub and frankly it’s pretty much wrecked. I once asked a waiter in one of the eateries how often he attended a concert. “They have concerts in there?” was the reply, such is the disconnect between the venue and its environs. I thought it was okay when you could get decent food in the hall itself, and the Skylon restaurant is still good, with its fabulous river views. I like Foyles too, although I wish there were more music books. The other places? They belong in the high streets, railway stations, and airports, but not here; this shouldn’t be yet another destination for hooray henries and yobs intent on nothing more than a piss-up. Christopher Gunning is so absolutely right. I have come to the conclusion that the only way of engineering any change in the downward spiral that calls itself The Southbank Centre is for there to be a complete change in the current leadership. I have never understood why they feel it necessary to have groups of young people constantly practising their dance movements in the basement area or banging their pots and pans in an expression of “cultural and ethnic diversity”. There are plenty of other places in London where the nerdy geeks and their laptops can go, plus the homeless who doss down in the RFH walkways and use all the toilets as public conveniences, plus the mums and baby buggies who regard the facilities as a daytime social care centre. I can think of a dozen ways of making the RFH stand out as a venue for classical music during the day and not just in the evening, but I cannot subscribe to the view that in these politically correct times it has to be The People’s Palace, open to “yoof” and those who would run a mile at the merest tinkle of a glockenspiel. I agree with Christopher’s premise on the proliferation of ‘boozing culture’ and commercialisation, but it sounds too much as though you would have the Southbank turned into little more than a glorified day centre for the elderly. I also attend orchestral concerts in every spare moment, and I am not a fan of banging pots and pans either. 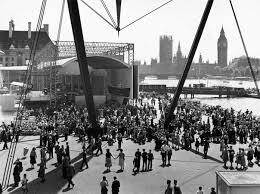 But remember that the Southbank has always existed to make the arts (in the broadest sense of the word) accessible to everyone – ‘them’ as well as you, and the fact that you dislike a particular art form makes it no less valid. Granted, some areas around the Festival Hall could have more to do with what goes on inside the hall – venues within the Southbank complex could play recordings by the Southbank’s resident artists rather than commercial bass fuzz for instance, but in all I can say as a regular concert-goer that it would be disastrous for it to become a place of mere ‘contemplation’, devoid of any sense of life or spirit. You impute to me motives I do not have. What angers me especially about the current Southbank regime is that they have made no progress whatsoever in getting the regular footfall to buy tickets in order to attend concerts there. Crossover in that sense simply doesn’t exist. I am also not in favour of turning the site into a sanctuary for the old – far from it! I very much welcome any attempt to get young people interested in classical music. There are plenty of ways of doing that, witness the Philharmonia Orchestra’s admirable schemes. What I do object to is the fact that although there are plenty of places in London for socialising, eating, women’s festivals, food festivals and the various examples of “popular culture” that produce noise and disruption during the daytime, there is no other place – apart from the Barbican – where classical music is seen to have a proper home. That is the real scandal of what has been going on at the Southbank Centre. Boohoohoo I wish our ivory tower was taller! I echo and empathise – a great concert leaves it in my head for days. In winter you come down to the Cloakroom to collect your coats to be surrounded by the street youths slumped around or crouching by stairs and exists using the free wifi. In summer everyone’s preoccupied with street food, stalls and drinking. I love the vibrancy of being able to sample the wares but almsot every establishment is pumping out that universal bass thud that makes me feel queasy, something to do with direct vibrations to the stomach?). I accept that in these days of minimal public funding, what there is has to make places accessible to all. In the midst of all this, though, is the purpose of the place, which has been sadly lost. I totally agree with Christopher. It isn’t just the environs of the RFH that have been compromised. Judging from what I’ve seen on my recent visits, the seating areas on the various levels in the RFH are places where narcotics can be bought and sold with impunity by people who appear to exploit the building simply as a ‘safe’ and unmonitored environment. The other extreme is the Kennedy Center in Washington, DC. After a performance of the NSO or opera, you go to your car or the subway and leave the area. It is a dead zone. Sometimes you just want to unwind with a post-concert drink or dinner, but you won’t find it there. My only experience with Southbank was positive. After a performance of Gurrelieder in 2009, we were both cranked up from what we heard, and hungry, too. We popped into a nearby restaurant and noticed that they had a jazz duo playing bass and piano. We thought were in trouble, because in the U.S. they would have been amplified, even in a small space. No, they were playing very softly, just perfect for coming down from the high of the concert hall. Like Christopher Gunning I remember the days of Klemperer, Monteux, Barbirolli et al at the RFH, standing beside the river afterwards or walking over Hungerford Bridge, talking about what we had just heard. My rare visits to London show how much has changed and been lost. In fact, I suggest that the centres of performing excellence have been redistributed from London to Bournemouth, Liverpool and Manchester. Two days ago in Swansea we heard Stephen Hough playing Beethoven followed by the BBCNOW playing Bruckner 8. Afterwards we left the Brangwyn Hall, crossed the road and stood looking out over the waters of Swansea Bay, reflecting on two great performances. You don’t get that on the South Bank. PAULD I’m not saying there should be nowhere to eat or drink following a concert, and indeed I have often visited the Archduke myself, where you can sometimes find members of the orchestra which has just been playing. There’s also a jazz trio there, where you might have been yourself. 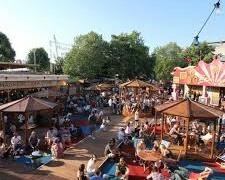 I am talking about the multiplicity of establishments which seem to attract a boozing culture and spoil the character and ambiance of the South Bank as an arts venue. Strange modern idea – that having people hanging around the periphery of a concert hall, doing anything and nothing, somehow makes the concert hall itself more ‘democratic’. it creates a superficial illusion of accessibility, but nothing more. Replying to Anne…….it’s a missed opportunity, isn’t it…..They hang around and don’t actually KNOW what the Hall is for……even catering staff don’t know. Can the marketing strategy somehow put the message across that it’s a CONCERT HALL, that people can go in and listen to the best music, with the best performers, and actually it doesn’t cost very much? I would also like to add my support to what Gunning’s post — the wifi-users and cafés seem to have proliferated everywhere, and they really ruin the special atmosphere of a concert venue. Probably the only venues to still have a modicum of peace and quiet are the Wigmore Hall, where the restaurant is tucked away in the basement, and Covent Garden, where there really is a buzz to crossing the threshold of the building and entering a space where *everybody* inside is going to the opera — sadly, the latter is currently planning to ‘open up’ its ground floor to be more ‘accessible’, so I fear the atmosphere there may also be incorrigibly compromised. The Barbican, meanwhile, besides its irritating resemblance to an airport lounge or station waiting-room insofar as the furnishings are concerned (too much wifi, too many television screens, not enough comfortable/practical seating), is actually not too bad, since its *immediate* surroundings are blessedly quiet in the late-evening/weekends (I must say that I prefer the peace and quiet of the City of London by night/weekend to the noise of the South Bank at those times, although the South Bank is more spacious and the river is indeed a real asset). This sounds like a marketing opportunity. The concert hall people could reach out to the restaurants and other establishments to coordinate with them. Maybe restaurant customers could be offered discounted tickets, and concert goers offered discount coupons for the restaurants. Maybe the restaurants could be given other inducements to help advertise the concerts. Etc. I found it really saddening to read Christopher’s comments, having attended the same concert myself and found myself marvelling at how – for once – I could walk right up to the concert doors through a sea of people my own age, enjoying a drink outside before they did (or as the case may be, didn’t) join the concert inside. The whole point of a concert offering like SBC is to have something on offer for ‘the people’ – for the normal folk who, having finished work for the day, might go out for a meal, might go for a drink in one of the local bars, or attend a concert. In putting The Concert Hall in the context of the other everyday evening entertaingments, it normalises something that otherwise seems on a pedastal, something far more high and mighty than for the likes of us graduates who can barely afford the cheapest standby tickets on the night, and might feel guilty for this seemningly extravagant indulgence when we could be having a pint down the road with the rest of the generation. I for my small part found it so heartening to see music returned to its place in history – as a commentary for and around society itself, by being right in the midst of it, and to walk out of a night of Sibelius into a salsa bar for a (worryingly inexpensive) cocktail. The two worlds were different, yet on each other’s doorsteps, making it feel reassuringly normalised and comfortable. Sure isn’t everyone entitled to digest the musical experience in their own way – if they wanted they’d be welcome to walk away from the hustle and bustle of a weekday evening in the city, and mull it over in quieter circumstances – but for the next generation of music lovers I wholeheartedly support an inclusive cultural offering right in the heart of the other entertainments enjoyed by our peers, and long may it continue! This reads like a parody of the worst stereotypes of out-of-touch, privileged classical music fans with contempt for the realities of modern life.